Database reports with DynaRanges are displayed in an activated state, meaning they expand to show a row (or column) for each line of the DynaRange’s subset result. You can work with variables in Jedox Database Reports. The commands that are available to a user depend on the rights given in the access rights object “ste_reports”. 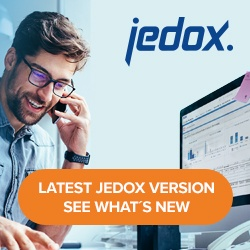 For more information, see Rights Objects in Jedox. Reports can be displayed in two states. For administrators and application designers, they can be shown in Designer Mode, allowing you to change the report hierarchies, create new hierarchies, etc. Also, you can create a hyperlink to specific reports and use them in external applications, such as web pages or web portals, can be created in reports properties. For end users, Reports can be shown in User Mode, allowing them only to view the report hierarchies and open reports. The mode shown to a user is controlled via the access rights object “ste_reports” defined for that user’s role in scope Administration such as the OLAP server’s system database. When loading, the Reports start screen shows a tile-based view control. The tile view control allows you to see and open reports as well as navigate to folders. To open a report, click on the folder icon. For each report in Report Designer you can upload your own icon by using the context menu (right click – Properties – tab Icon). As symbols are PNG files available up to a size of 500 KB. The standard symbols used on the individual file types you will find in …Jedox Suite\httpd\app\docroot\ui\common\res\img\def\cf\covers. You still need to create reports in Report Designer, which you can then drag as a so-called nodal point into a folder or report hierarchy. This see how to do this, check Example: Report with a ComboBox and DynaRanges.